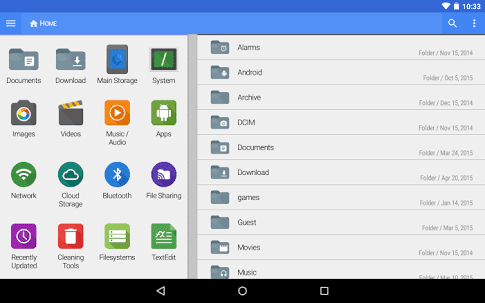 Best File Manager App for Android. Today am going to highlight on the Best File Manager App for Android, that everybody using android phone should be using one. 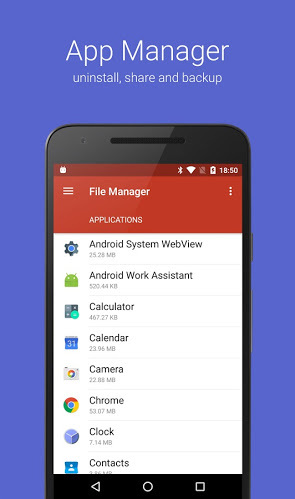 These Android file manager apk are compatible in any android phone. Each Smartphone comes with pre-installed file manager from the mobile phone manufacturer. 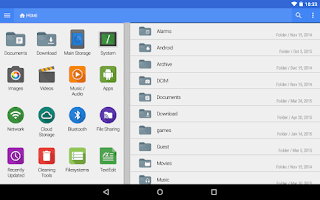 It is called android default file manager. The major task that these file manager do are copy, paste, delete, hide, rename and many more. We can say that these are some of the standard features which every inbuilt manager is providing but it's not the end my friends. Although Android file manager apk performs action beyond copy, delete and rename. They do advance job like file transfer, change extension, security etc. which are usually not provided in default file manager. This is one of the mobile friendly file managers for Android. It’s easy to use interface makes it out of the world. 1. USB drive access via OTG cable. 2. Auto-categorize files such as music, photos, videos, eBooks, documents, and apps. 3. Support FTP, LAN, SFTP, FTPS and many more file sharing protocol. 4. Print your documents, pictures wirelessly without any USB cable. 6. Just root your phone and have access to all file system and data directories. 7. Compress and decompress your rar, zip and 7z format files. Pricing: - Free & in-app purchases start from $2.99. This review can’t be complete without Gira File Manager, it happens to be one of the best in market now. This App Has Simple, intuitive interface and elegant features make it ranks higher than other apps in the market. Just a few clicks and you can manage your files stored on your internal storage, SD card or cloud storage. Packed with multiple cloud account support such as Drop box, Google Drive. Take a backup of app installed in the device with the help of application manager. It supports supports 29 languages including: English, French, Spanish, Italian, German, Dutch, Japanese, Korean, Traditional Chinese, Simplified Chinese, Indonesian, Russian, Polish, Portuguese, Turkish, Ukrainian, Vietnamese, Arabic, and Norwegian. Extract compressed files in Zip, RAR, Tar, Tar.gz, Tgz, Tar.bz2, and Tbz formats. What that makes File Explorer unique and different form other is because of the UI design. This app comes with awesome, user friendly and easy to use interface. Previously it was known as FX file manager. Transfer files between two phones using FX connect. · Connect two phones by physical touch through NFC. · Share and transfer files from computer to devices with a brand new feature Web Access. · Comes with multiple windows view at a single time. · Fx includes some built-in editing apps such as Hex viewer, image viewer, media player, compression & decompression tools, rar file extractor, Shell script executer and many more. · Use one password for cloud and network locations. 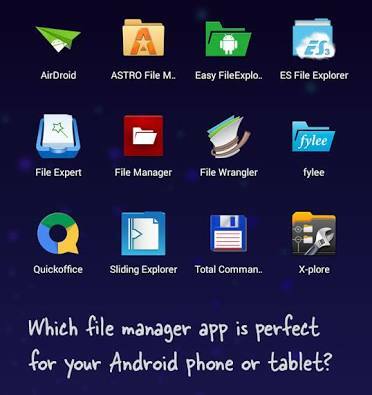 If you have any question concerning 3 Best File Manager App For Android You Should be Using, use the comment box below.